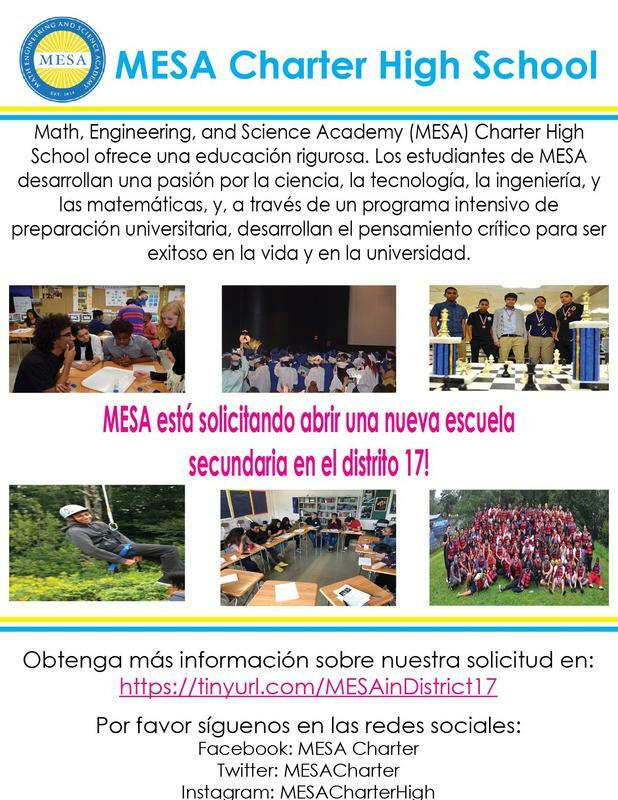 MESA Seeks To Open A New Charter High School In District 17! 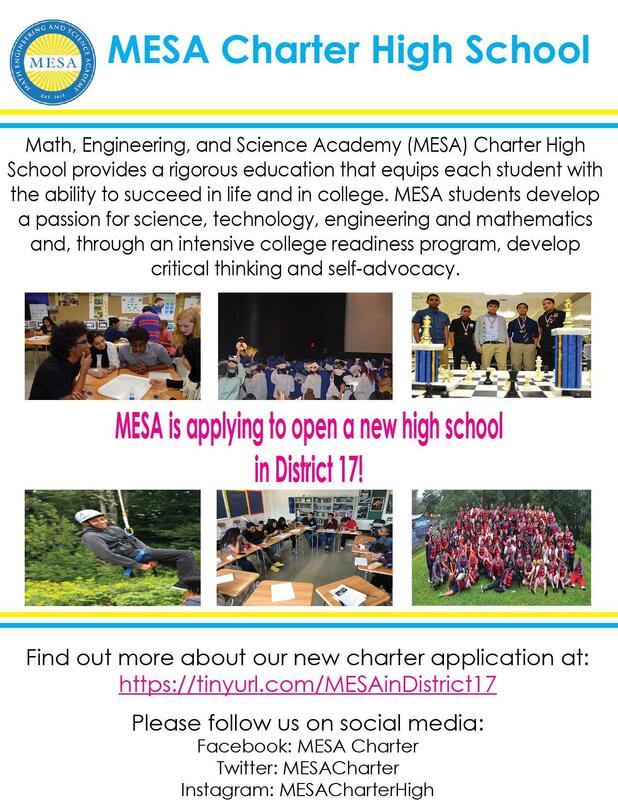 MESA will submit an application to open a new high school in Community School District 17. The school will serve the students of Central Brooklyn, encompassing the neighborhoods of Prospect Heights, East Flatbush and Crown Heights. The new school will open in August 2020 with 125 9th graders and grow each year to serve 500 9th-12th graders. We are very excited about this opportunity to serve more students and families of Brooklyn and we will share more information as it develops! MESA presentará una solicitud para abrir una nueva escuela secundaria en el distrito 17. La escuela servirá a los estudiantes de Central Brooklyn, cerca de Prospect Heights, East Flatbush y Crown Heights. La nueva escuela abrirá en agosto del 2020 con 125 alumnos de 9º grado y crecerá cada año para atender a 500 alumnos de 9º a 12º grado. ¡Estamos entusiasmados con esta oportunidad de servir a más estudiantes y familias de Brooklyn! Compartiremos más información a medida que se desarrolle. Si quiere saber más sobre este proceso, haz clic AQUÍ para unirse a nuestra lista de correo.